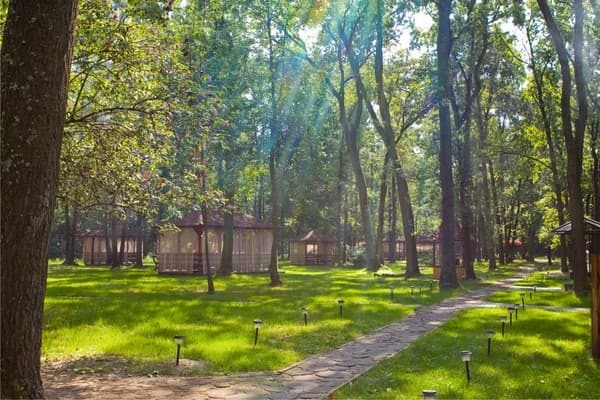 Hotel and restaurant complex "Green Guy" is located 15 minutes drive from Lutsk in the village of Kopachovka. 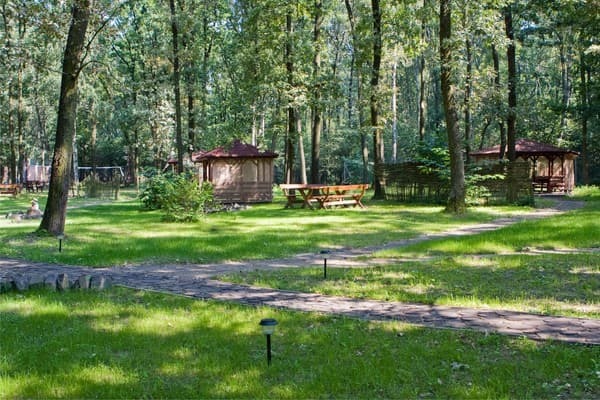 The complex is located in a well-groomed area among the forest. The hotel has 18 rooms in the categories of luxury, junior suite, standard and economy. All rooms are equipped with comfortable furniture, TV, Wi-Fi access, bathroom with bath accessories and hairdryer. For those who live in the hotel "Green Gai" - a modern equipped conference room, pavilions, brazier, sports and children's playgrounds. For clients the following services are also available: laundry, ironing services, guarded parking. To the attention of the guests of the "Green Guy" complex there are three halls of the restaurant with an exquisite interior and a rich assortment of dishes that will please any gourmet. 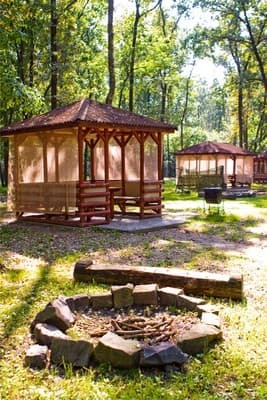 The distance to Lutsk is 15 km. Понравилось месторасположение отеля. очень красивая природа вокруг. ухоженная территория. приветливый персонал. вкусная кухня. меняли полотенца каждый день. разрешили проживание в отеле с собакой! для нас это очень важно! To the guests of the "Green Guy" complex there are three halls of the restaurant with exquisite interior and a wide assortment of dishes. The hotel is located in with. Kopachovka (11 km of the route Lutsk-Kovel). The bus stop is 30 meters from the hotel. Shuttle bus Lutsk-Rozhishche (from the railway station), Lutsk-Kovel (from the bus station).